Image Description: a large close-up image of a rock collection. 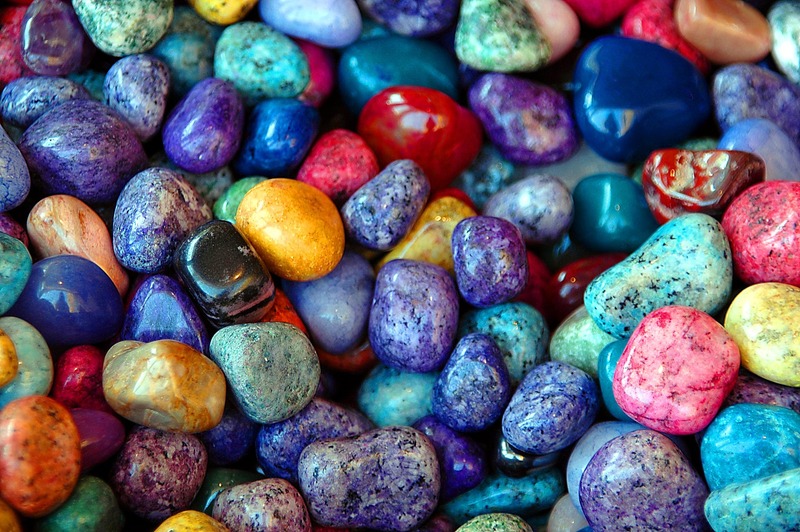 The rock collection is has a lot of small rocks in different shapes and multiple colours, although it could be argued that there are a lot of rocks in various shades of blue. There’s a noticeable difference between how Neurotypical people and Neurodiverse people interact with stim toys or stim items. 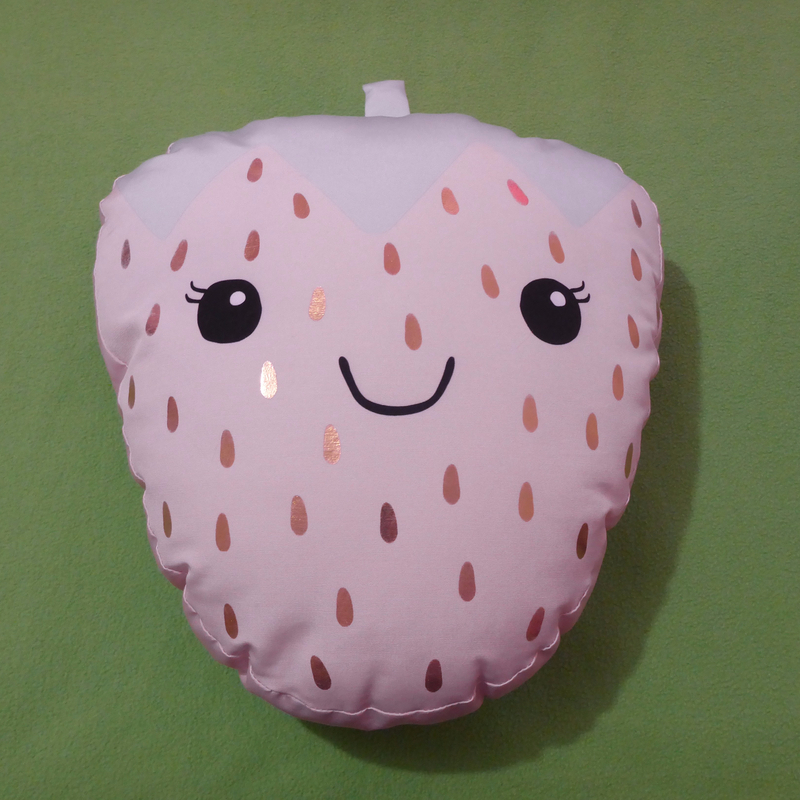 Neurotypical people may notice the item and compliment it. They may even pick it up, examine it, and play with it briefly, however, there’s a difference with Neurodiverse people, and a lot of it is subconscious. They will reach for a stim toy or an everyday item (like a paper-clip or a pen) and begin playing with it, often without realising. There’s generally a look of surprise when they look down at their hand and finally realise what they’ve been doing for the last five minutes. The more normalised an item in question, the more likely this will occur. To be honest, I prefer normalisation over interrogation, however, there are some drawbacks to normalisation too. I know it can be difficult to curb the impulse to touch things that are interesting, however, please don’t pick up other people’s stim toys without permission. People often do this without thinking about it. I do not like it when people touch my fidget cube without permission. It can also be difficult to bring this up as a lot of people can react defensively about being told not to touch other people’s belongings. So, if someone asks you not to touch their stuff, don’t be an arse-hat about it, accept it and don’t do it again. 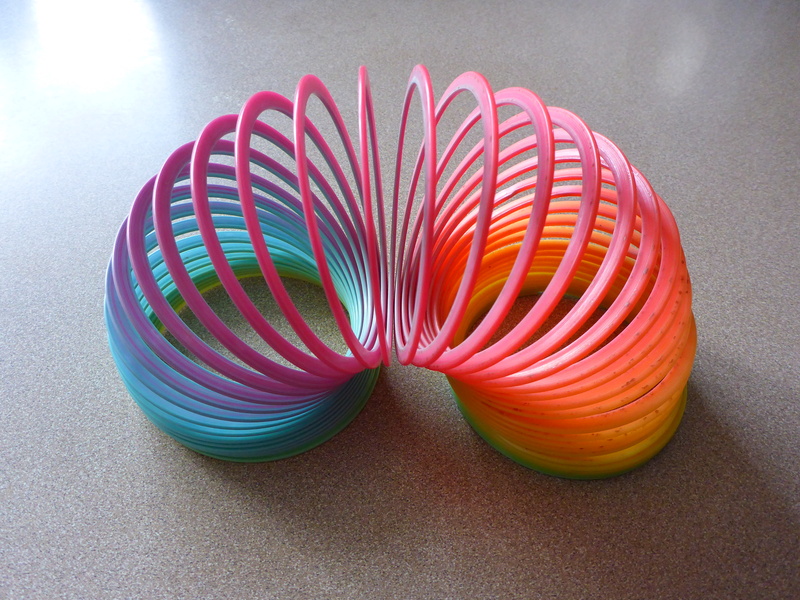 I think Slinkies are one of those stim toys that have been super normalised, which means that people don’t think of them as strange or unusual items displayed on the average office desktop. One of the good things about my current job is that stim toys like Rubix cubes and Super Fidgets are common and popular among my colleagues. 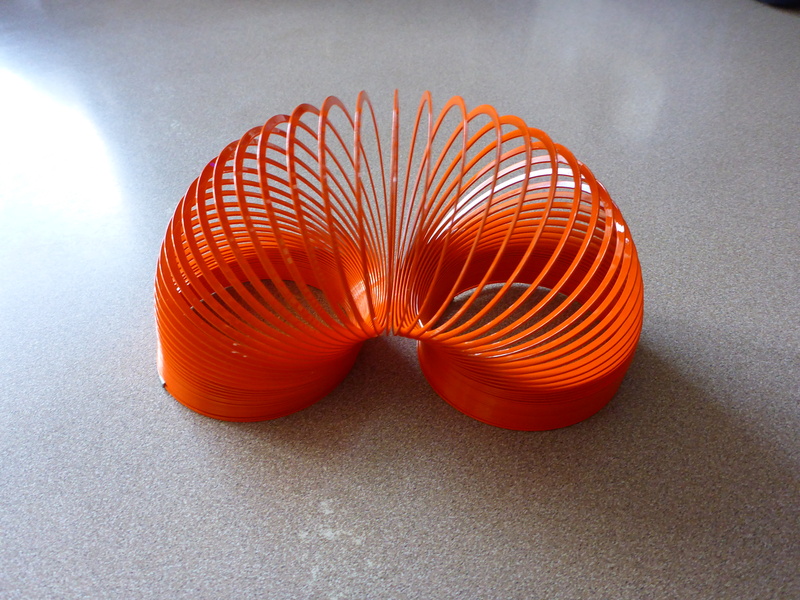 Image Description: an image of an orange metal slinky curved into an arch on top of a kitchen bench. 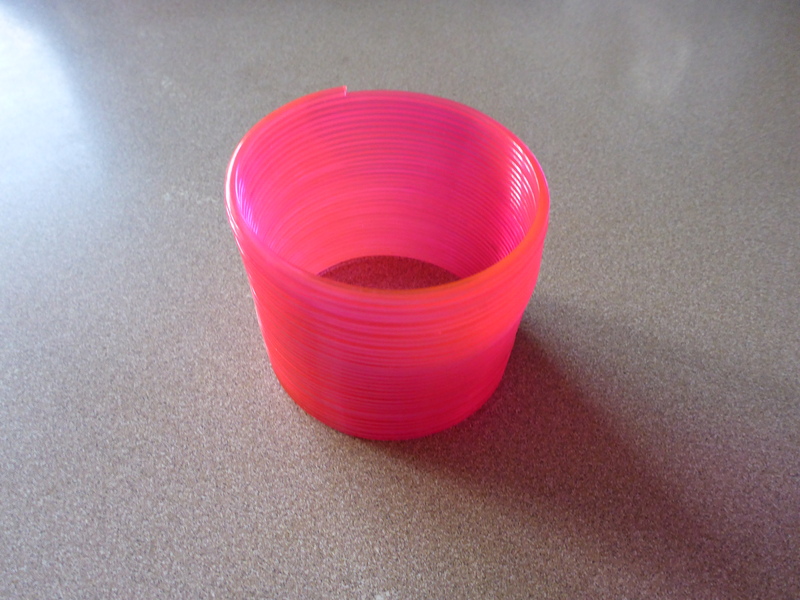 Image Description: an image of a pink plastic slinky in a column form. The slinky is sitting on top of a kitchen bench. 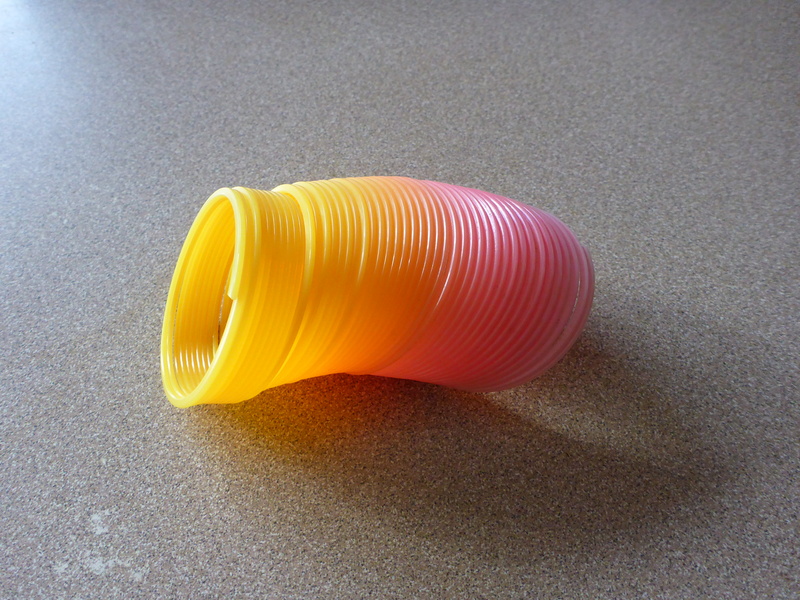 Image Description: an image of a rainbow-coloured plastic slinky curved into an arch on top of a kitchen bench. 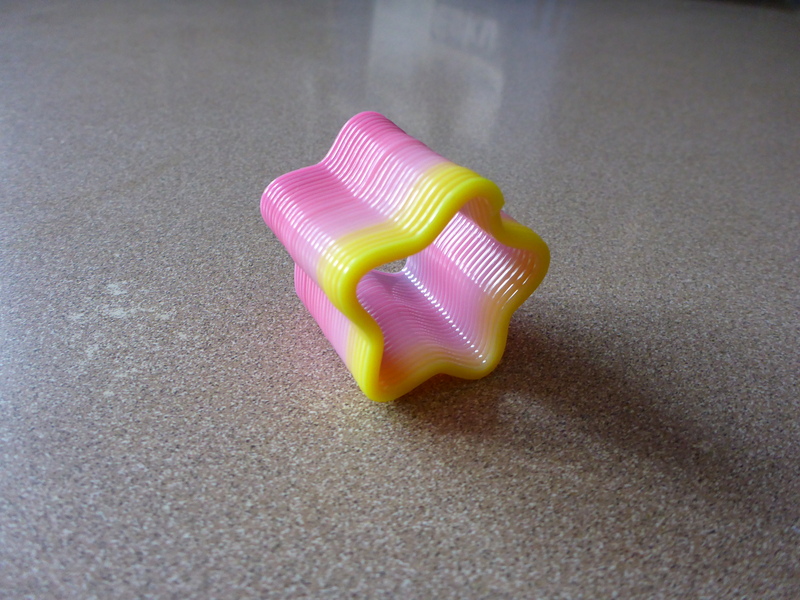 Image Description: an image of a yellow-and-pink slinky laying side-ways on top of a kitchen bench. Image Description: an image of a yellow-and-pink slinky (in the shape of a star) laying side-ways on top of a kitchen bench. Most of these Slinkies were gifts, which means I don’t know how much they cost, so I’ll include some links at the bottom of the post. The last two slinkies (the yellow-and-pink slinkies) are much smaller than the other ones, they’re perfect for office desktops, and I highly recommend them. So, that’s my collection, if you’d like to leave a comment about you’re own slinkies or slinky collection, please feel free to do so in the comments section below.